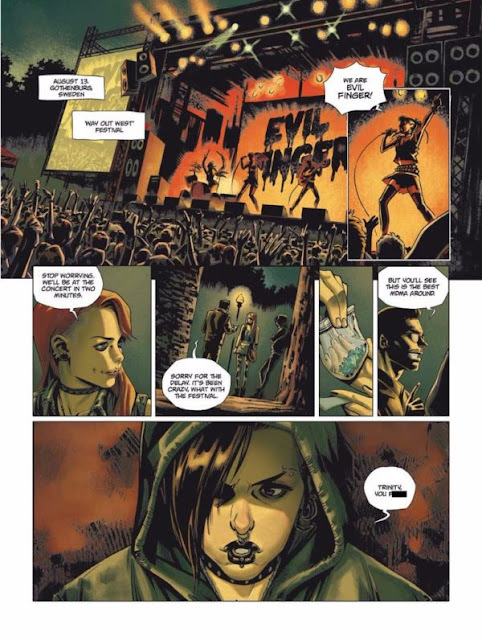 Titan Comics is releasing a full trade paperback of The Girl Who Danced With Death, a full color continuation of the story of Lisbeth Salander, based on the books written by Stieg Larsson. The graphic novel will be available for purchase on January 31, 2019. This will be the second time in the past several months that fans of Lisbeth Salander will receive the opportunity to see their beloved character in action once again. With Fede Alvarez’s film, The Girl in the Spider’s Web released in November and then followed up with this graphic novel adaptation, fans of the series are sure to be reveling in the attention the gritty heroine is receiving as of late. Since November, because I was able to see The Girl in the Spider’s Web, I believe I have slightly more backstory and knowledge of the character of Lisbeth Salander than I did previously. Unfortunately, because that has been my only interaction with the series in any way; I still would hardly call myself an expert. Because of that fact, I am hesitant in critiquing too harshly, as I truly have no way of knowing if my issue lies with the newer adaptations or with the original source material. Without reading any of the novels, it is so difficult for me to distinguish where my distaste comes from. I hate to be too harsh to a writer if they are simply staying true to the original books and the original author’s style, but without reading the books I cannot say whether or not that is what is happening. That said, my review will only involve my feelings on this particular graphic novel and what I did and did not appreciate about it. I sincerely want to like Lisbeth, her cohorts and the story altogether. I absolutely love a badass woman with a no nonsense attitude who has zero time to sit back silently while there are blatant injustices happening in the world around her. 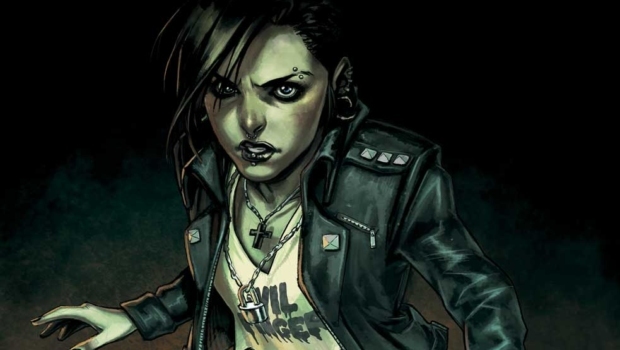 Smart, cunning and edgy, Lisbeth has all of the makings of my kind of heroine. Unfortunately The Girl Who Danced with Death seemed to concentrate far too much on making the piece political than they did developing the story or any of the characters within. While I am definitely a fan of political takes within books and understand comics have never shied away from pushing a certain agenda, I think there is a line that has to be watched. This particular story felt like its entire purpose was to beat you over the head with their political agenda, and though it’s an agenda I personally agree with, it felt forced and unnatural. It is difficult to find that balance when you are writing something that has a clear socially or politically motivated tone. Though I genuinely do appreciate the message that Sylvain Runberg was trying to convey, as well as the fact he is not ashamed or afraid to publish thoughts that could anger and frustrate some people, I just simply wish it had been done in a smoother, more natural way. I am the first person to roll my eyes when I hear an old school comic bro complaining about comics becoming too social and political. Comics began as a social and political commentary, so my issue is in no way that. I applaud writers who tackle controversial topics and are not afraid to shy away from topics that may cause tension, but I do feel like it has to be done in a very specific, careful way, as to not take away from a story flow. With The Girl Who Danced With Death I felt like both the character development and overall plot pacing was sacrificed in order to repeatedly get a political opinion across. The artistic endeavor that went into this nearly 200 page graphic novel was absolutely the highlight of the read to me. The artwork by Belen Ortega is dark, gritty and explosive. Her action sequences were vibrant to the point it nearly felt like you were standing there watching it happen. It is clear Ortega understood the characters in this adaptation of Lisbeth’s Salander’s continuing story. Each character was drawn with such a level of detail, down to the shoes they were wearing or the jewelry adorning their faces. Lisbeth looked edgy, dark and quite frankly, hot as hell. Though the writing of her character didn’t necessarily appeal to me or make me want to get to know her more, her visual depiction definitely piqued my interest. Looks wise, she was everything I pictured for the intelligent, smartass hacker and Ortega did an excellent job visually with keeping your undivided attention. The book would be worth it for fans of the series for the cover art alone; it is stunning. 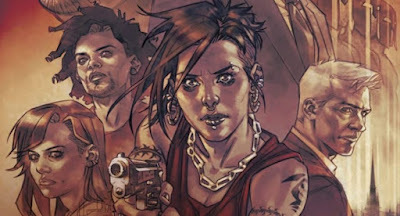 The art being so fantastic left me even more frustrated with the story itself, as I do believe the it had massive potential and just missed the mark. I truly want to like Lisbeth Salander as well as her exciting, action packed adventures, but my limited experiences with the series each time have left me disappointed. That being said, the disappointment has left me wondering about the original Larsson trilogy and its immense success and cult following. I think it may be time for me to pick up the original books before reading or watching any new continuations.